Home / Buffalo / Buffalo State / buffalo state performing arts center / CM / Daily Update / Events / family christmas tour / gerald albright / Music / News / Gerald Albright’s "Family Christmas Tour" comes to Buffalo State Performing Arts Center on Dec. 14! Gerald Albright’s "Family Christmas Tour" comes to Buffalo State Performing Arts Center on Dec. 14! BUFFALO, N.Y. -- Jazz saxophonist Gerald Albright and his daughter, soul singer-songwriter Selina Albright, are bringing their Family Christmas Tour to the Buffalo State Performing Arts Center on Friday, December 14, at 8:00 p.m. for a special holiday performance. 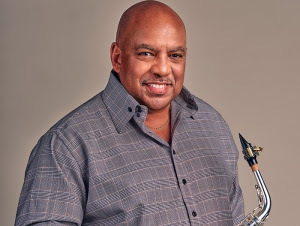 Eight-time GRAMMY nominee Gerald Albright was already an established saxophonist by the time he enrolled in college. Upon graduating, he began working extensively on studio recordings with such musical greats including Anita Baker, Ray Parker Jr., the Temptations and Olivia Newton-John. In addition, he toured with many icons including Quincy Jones and Whitney Houston and fronted the touring band for Phil Collins. Albright has also done a dual recording with vocal great Will Downing, completed two GRAMMY-nominated solo albums within the last decade, and has had hit collaborations with Norman Brown and Dave Koz. Selina Albright developed her onstage charisma and vocal technique from exposure to legendary artists including Whitney Houston, Tina Turner, Ella Fitzgerald, and Beyonce. She has shared the stage with many artists including Jeff Lorber, Brian Culbertson, David Benoit, and Peter White. Her 2013 release, Brighter, topped the UK Soul Chart for four weeks, and her 2010 Jazz original “You and I” was featured on iTunes “Top 100 Downloads” list for jazz that year. Join the Albrights on their first Family Christmas Tour, filled with favorite songs of the holiday season with a special Albright twist. Tickets are $45 for lower tier and $40 for upper tier, with a $3 discount for senior citizens and Buffalo State faculty and staff, with student rush tickets available for $15 an hour before showtime based on availability. Tickets will go on sale Friday, September 28, at 9:00 a.m. and can be purchased online at buffalostatepac.org or at the Buffalo State Performing Arts Center Box Office, Monday through Friday, 9:00 a.m. to 5:00 p.m. (716) 878-3005.